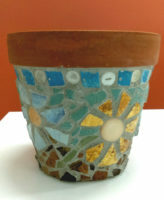 Mosaic your own Terracotta plant pot. 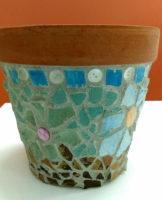 During this two hour workshop children will mosaic their own terracotta pot! Your pot will be ready to take home after the workshop or you may leave it to dry if you wish. 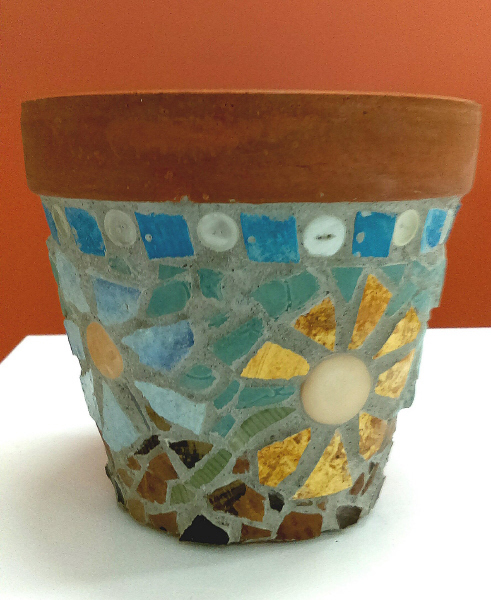 The mosaic will be made using a combination of glass tiles, ceramic tiles, ceramic shards and flat backed beads. No cutting of tiles will be required. 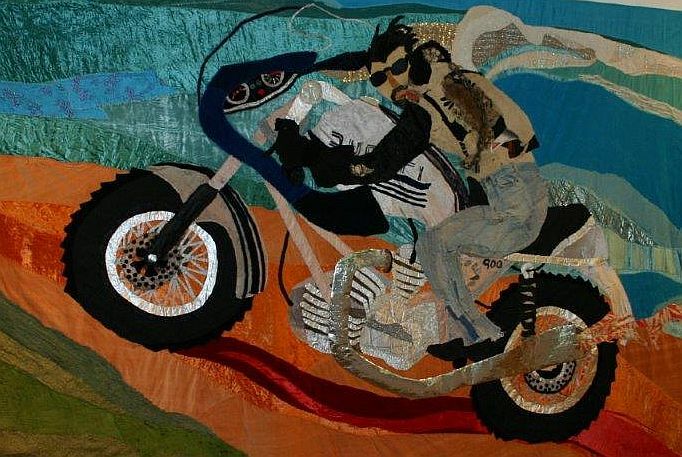 This workshop is recommended for children of 8-16 years of age.